The most effective way to ensure success in any business is advertising. This has been seen as the best way to reach out to the masses since immemorial. Although the 21st century is the digital age, the importance of commercial printing techniques remains the same. Print advertising too uses modern techniques. We, at Park Press Printers, bring to you a wide range of fonts, formats, inks and all types of printing that will make your advertisements the best and most attractive. We extend our services to customers in Boston, Cambridge, Concord, Manchester, Nashua, Portsmouth and the surrounding areas. Our President Gabriel Farhat has been in business since 1993 and his leadership has lead to exemplary work done by our company. 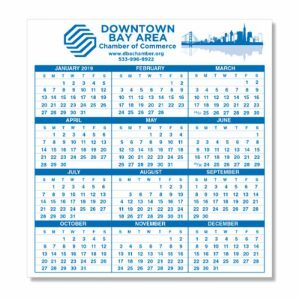 Below we have listed 3 ways in which you can make the best use of commercial printing methods. Have a look. One of the best ways to make your advertisement attractive is by the use of different fonts. You must keep in mind a thing or two in this regard. While it is important to use attractive fonts, it is never good to go overboard. Your advertisement must be legible and easy to comprehend. Depending on your business, you can make use of certain colors to catch the eye. Modern printers offer you a variety of colors to choose from. You must choose a color or a palette that goes with the tone and gravity of your business. Companies today use a wide selection of printers that are multi-functional. Companies that print for commercial use have at their disposal different types of paper, textures and sizes. All you have to do is choose the correct option and you are set. If you feel your business deserves the best form of print advertisement available in the market, call us at (781) 233-0315.